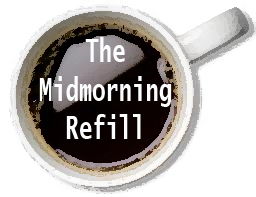 The Midmorning Refill: From DeLay’s money laundering to rumored Bank of America leaks, what are they hiding? The wining and dining that lobbyists imparted on lawmakers hardly surprise Washington insiders. But when a glimpse of the influence infiltrated outside the Beltway during the trial of former House majority leader Tom DeLay, Texas jurors didn’t like what they saw. They learned of DeLay’s flights on corporate jets, meetings at resorts and a flood of corporate cash fluffing his campaign coffers. In the end, they convicted him on felony charges of conspiracy and money-laundering. 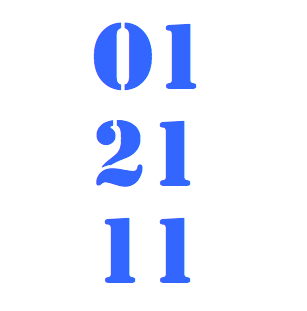 What does this mean on a larger scale? “We tried to present the context,” Rosemary Lehmberg, the Travis, Texas, district attorney who oversaw the prosecution, told The Washington Post. This included DeLay’s role in founding the PAC and its solicitations of corporations, as well as the political rewards that he reaped. She said, however, that while it’s true “citizens are tired of the large amounts of money and particularly corporate money that are being put into the political arena,” the jury’s judgment was based on evidence that such funds were sent to Washington and then brought back to Texas in a deliberate effort to evade the state’s absolute prohibition on their use in elections. Here is the sad reality: Can you really embarrass any of these banks? They were incompetently run, with criminally inept risk management. They blew themselves up, and exist today only due to the largesse of the taxpayer. They gratefully took all they could grab and more. What else can you release to embarrass them? As campaign finance continues to cause heated debate amongst party leaders, Rep. John A. Boehner (R-Ohio) is quickly becoming the poster child for corporate influence on Capitol Hill. On Saturday, The New York Times detailed the strong ties between corporate lobbyists and Boehner. His inner circle includes representatives from some of the biggest companies in the country, like R.J. Reynolds, Miller Coors and Goldman Sachs. They have raised huge pots of money for him, of course. For instance, at least $340,000 donated to Boehner’s political campaigns came from the pockets of people closely affiliated with the tobacco industry. Boehner’s relationship with the tobacco industry dates back to 1996, when he was caught handing out checks from large tobacco companies to fellow Republicans on the of the House of Representatives. Notable also is Boehner’s travel record. Over the past decade, the representative has taken approximately 41 trips, mostly to resort golf destinations – all sponsored by various corporations and industry groups. Fundraising for Mr. Boehner is especially important to watch as he begins his campaign to be Speaker of the House if Republicans attain the majority after November’s elections. His “Boehner for Speaker” campaign, launched in June this year, has already raised almost $2 million. While the concept of ‘Boehner may be a running joke in the representative’s large inner-circle, the idea is a nightmare to anyone who fears more corporate involvement in Congress. A year ago this week, arguments were held before the U.S. Supreme Court in Citizens United v. Federal Election Commission. A lot has transpired since then. In January, the court tossed out a century’s worth of campaign finance doctrine and ruled that corporations can spend unlimited amounts to influence elections. A spate of legislation has been proposed, a drive for a constitutional amendment is under way, states have had to dismantle their campaign finance laws and more. Lawmakers are mixing charitable and political agendas, creating yet another loophole that ultimately allows more corporate influence in Congress, The New York Times reports. The paper found that “at least two dozen charities that lawmakers or their families helped create or run routinely accept donations from businesses seeking to influence them.” Among these corporations are AT&T, Chevron, General Dynamics, Morgan Stanley and Eli Lilly. A new video from FairElectionsNow.org features real people describing in their own words the profound impact of corporate corruption in Washington. The video shows how big agriculture, corporate coal and BP play the money game to make government work for them – not the American public. As long as members of Congress must rely on donations from corporations and lobbyists to fund their campaigns, wealthy corporate interests will continue to have an outsized role in crafting national policies. Enough evidence of wrongdoing exists to continue investigating the link between fundraising events and votes made by three members of Congress, according to the Office of Congressional Ethics. The office is recommending further investigation of three members of the House of Representatives who held fundraisers just days before casting votes on financial reform legislation. The three are Reps. John Campbell (R-Calif.), Joseph Crowley (D-N.Y.) and Tom Price (R-Ga.). Five other members were cleared. Despite a heat index of 104 degrees, folks in Texas rallied recently against the U.S. Supreme Court’s ruling in Citizens United v. Federal Election Commission, which opened the door for unlimited corporate spending to influence elections. Watch the video here.